No wonder she never loses her sense of humor–she’s physiologically equipped to deal with not only tigers and rampaging bulls, but several children at once. Maybe she could have stopped Mbot from doing the Boo-Boo Boogie Woogie on top of the train table when I was helping Gbot on the potty. Who has not felt the need for more than two hands? I have given this some thought. How marvelous it would be, was my first conclusion, to have more than two hands. Except maybe if we had four hands, we wouldn’t, as a species, have developed such complex emotions or social systems because we wouldn’t need as much help from one another. But then I thought: wait a minute. If mothers had more hands, it wouldn’t free them up and give them back their sense of humor. Given four hands, we’d do twice the work and wish for six. It’s not something humans do so well, moderate our desires and our demands–on ourselves or on others. I’m thinking that a few months ago, I wouldn’t have even left Mbot alone in the living room. But he’s becoming responsible, so I am asking for more. The part of our brain in charge of moderating our desires and our demands isn’t quite perfected yet. By evolutionary standards, it’s kind of like the spine. If God created us in His image, then there’s a good chance He’s got a bad back and too big a mortgage. Homo sapiens have compensated, socially and technologically, for only having two arms. Motherhood tends to strengthens familial and platonic bonds. On the technology side, we’ve got things like double breast pumps, triple strollers, and Nickelodeon. Although I’m still trying to figure out how a double stroller that weighs 46 pounds empty and is happily collapsible to go in and out of the car can be a 100% positive development. Especially with our backs and all. Are your discs or desires giving you trouble? 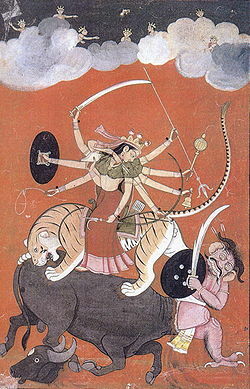 This entry was posted in toddlers and tagged dailyblog2011, Durga, humor, life, moms by Betsy Andrews Etchart. Bookmark the permalink.